Do you have a webshop on another e-commerce platform and want to migrate to Shopify? Or do you have a webshop in Shopify and want some help to get started with this integration? This app is a minimalistic BETA integration between Shopify and Fraktjakt. 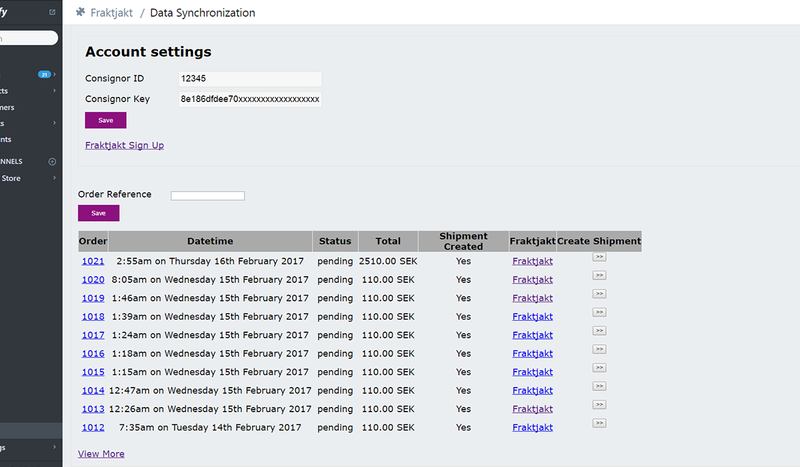 It works well, and it simply sync the customer details from each Shopify order into Fraktjakt. Sync must be triggered manually for each order. 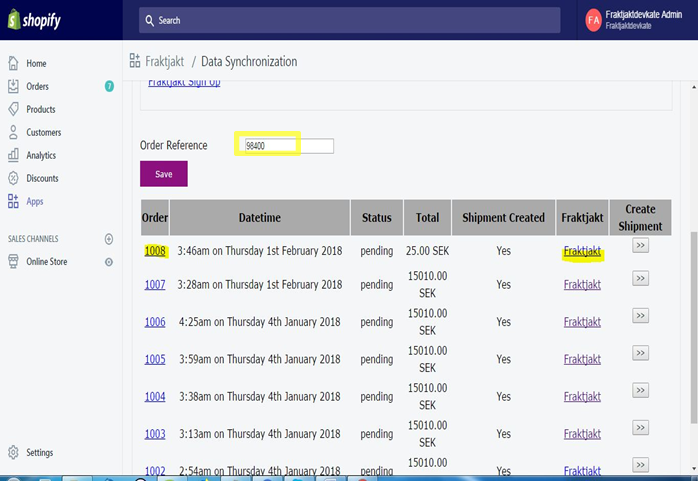 Once the details are synced, you have to access your Fraktjakt account and finanalize the shipment from there. Price for this app is 10$ and it will be billed through Shopify after you install it, trial period 14 days. Where can I find my Consignor ID and Consignor Key in Fraktjakt?